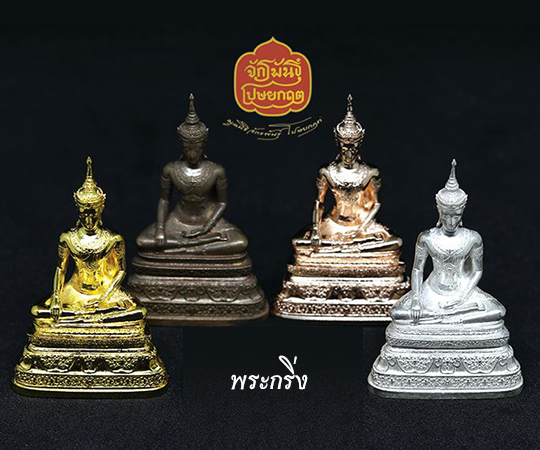 The consecrated statues and statuettes are in limited editions and each statuette comes with a certificate with a serial number. 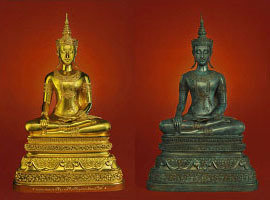 Also available are amulets in two formats. 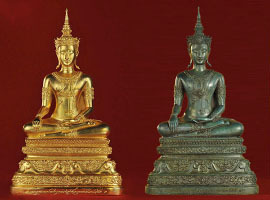 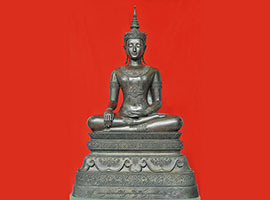 "The Chakrabhand Posayakrit Foundation for Phra Buddha Maha Parami"
Please fax your pay-in slip together with your name, street address, phone number, fax number, email (if any) and details of the order, after which a receipt of payment will be sent to you by post and you will be notified of a pick-up date when delivery is ready. 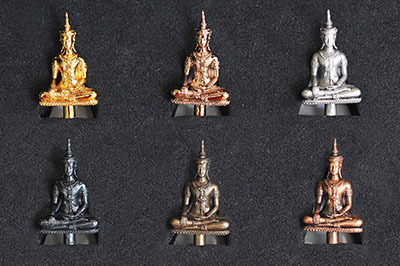 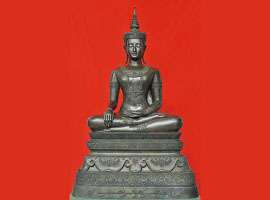 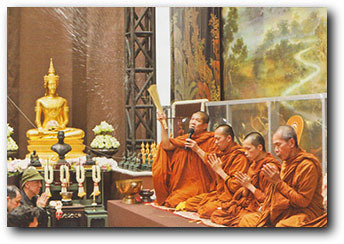 Proceeds go to the establishment of the Chakrabhand Posayakrit Museum.